Una monografia, in lingua inglese, di uno dei massimi specialisti di Strindberg. With some sixty plays, August Strindberg (1849-1912) today counts as one of the great innovators of modern drama. 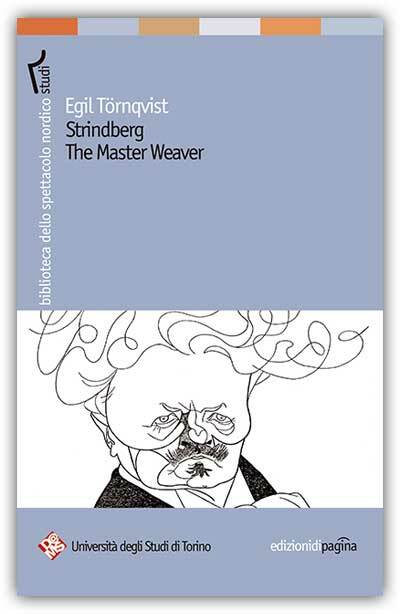 The aim of this book is to illuminate Strindberg as a dramatic craftsman. The dominant idea is the distinction between page and stage, between the reader’s textual and the spectator’s audiovisual reception. Focus is on some of the best known dramas, easily accessible in English translation. Egil Törnqvist received his doctorate in Comparative Literature at Uppsala University in 1969 and was from that year until 1997 Professor of Scandinavian Studies at the University of Amsterdam. He has taught at the Universities of Uppsala, Harvard and Washington and has done research at Yale and at the Netherlands Institute for Advanced Study. His publications on drama, theatre and film include some twenty books on Ibsen, Strindberg, O’Neill and Ingmar Bergman. He is a member of the board of the Centre for Northern Performing Arts Studies of the University of Turin. Egil Törnqvist è stato dal 1969 al 1997 professore di studi scandinavi all’Università di Amsterdam. Ha insegnato nelle Università di Uppsala, Harvard e Washington ed ha svolto la sua attività di ricerca a Yale e presso il Netherlands Institute for Advanced Study. Le sue pubblicazioni sul teatro e il cinema contano una ventina di libri su Ibsen, Strindberg, O’Neill e Ingmar Bergman. È membro del comitato scientifico del Centro Studi per lo Spettacolo Nordico dell’Università di Torino.